Heat the oven to 350°F. While the oven is heating, stir the soup, picante sauce, cilantro, green onions and beans in a 1 1/2-quart casserole. 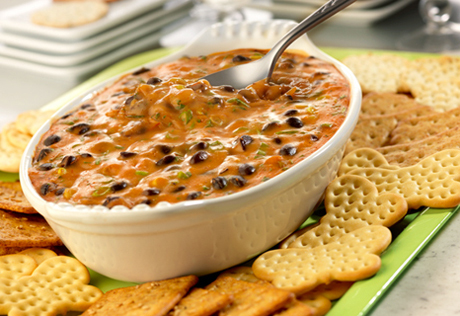 Serving Suggestion: You can serve this versatile dip right from the casserole with assorted Pepperidge Farm® crackers or tortilla chips. Or, hollow out a round loaf of crusty bread and spoon in the baked dip mixture. Cut the bread from the center of the loaf into cubes and serve it on the side for dipping.